Who remembers making or playing with silly putty as a kid? Well, LUSH has just released a grown up version…in the form of a face mask! Their new range of Jelly Face Masks not only help target a variety of skincare needs, but provides brief moments of sensory play too. The Flubber-like products were too cool to pass up! 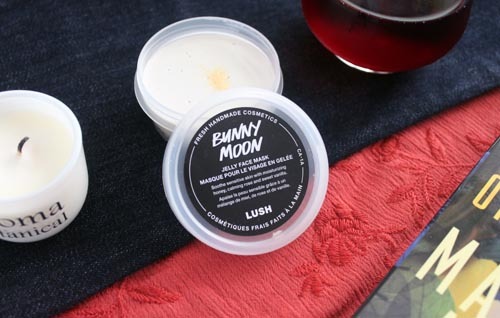 I decided to try Bunny Moon, which contains honey, rose and chamomile to hydrate and soothe dry skin. It even contains flecks of gold, which I believe can help tone and firm. When compared to the Love Lettuce Fresh Face Mask I recently reviewed, I like that this one is self-preserving! It’s shelf life is much longer, meaning it won’t expire before I have a chance to use it up. Instead of three-weeks, these puppies last four months! It’s extremely thick and has a bounce-y texture. 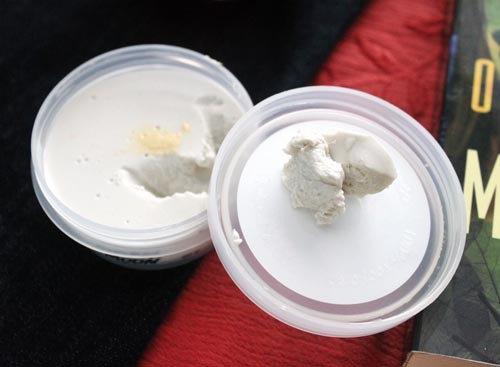 To use, simply pinch apart a small amount and rub it between dry hands. 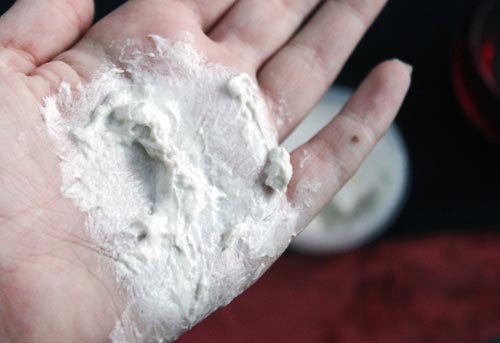 The heat from your hands will melt it into a goop-y paste, which can then be applied to the skin and left on for 10-15 minutes. I found it a little tough to rinse away – like trying to wash Elmer’s Glue off your hands before letting it dry. I’d definitely suggest using a face cloth to speed up the process. But once removed, my skin did feel soft and smooth. While it’s definitely super fun to use, I found the intense floral scent to be slightly overpowering – it smells a lot like baby powder (only stronger). But LUSH gets points for making me feel nostalgic and making my pamper session feel like play time.